Marie is a Michigan State University alumnus and has over 10 years of business writing experience. She writes content, poetry, and stories. The giant panda has evolved for more than 3 million years as a separate lineage from other bears. Pandas were regarded so rare and noble that Chinese Empress Dowager Bo (circa 247-195 BC) was buried with a panda skull in her vault. Emperor Taizong's grandson is credited with giving Japan two pandas and a sheet of panda skin in goodwill (circa 626-649 AD). A few medical uses were practiced by the Sichuan tribal people of southwestern China, namely to melt accidentally swallowed needles with panda urine and the use of panda skins to control female menses. The interest for the animal in the Western World began when the French missionary Armand David received a panda skin as a gift from a hunter in 1869. The first Westerner known to have seen a living giant panda was German Zoologist Hugo Weigold, who purchased a cub in 1916. Theodore Roosevelt, Jr., the eldest son of President Theodore Roosevelt, shot a panda while on a 1920s expedition. In 1936, Fashion Designer Ruth Harkness brought back a live giant panda cub named Su Lin, which went to live at the Brookfield Zoo in Chicago, Illinois. Five giant pandas were sent to London in 1938. Afterwards, however, panda diplomacy virtually ceased for the next 50 years due to WWII and the wars that followed. The panda had nearly been forgotten by Westerners. 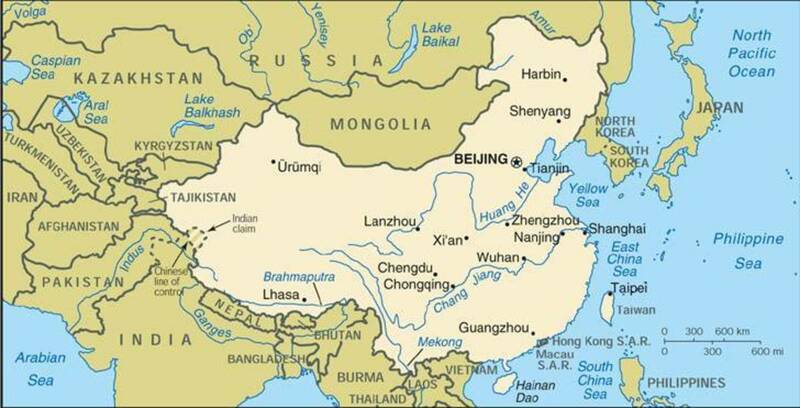 As you can see by the map below, giant pandas once had a wide foraging range that included the temperate, broad-leaf forests of southern and eastern China, Burma and northern Vietnam. As China’s human population increased, the pandas retreated to remote, mountainous surroundings. 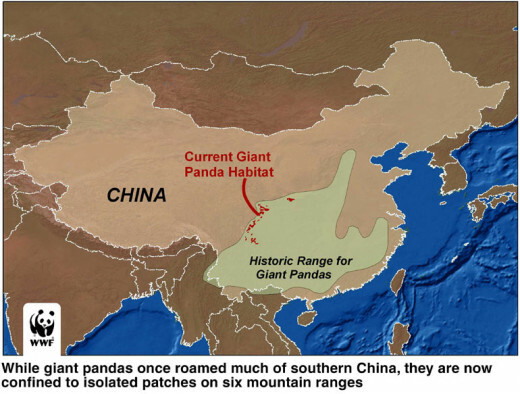 Half of this mountainous habit of the panda was lost from 1974 to 1989--a period of only 15 years! Pandas in the wild are generally solitary, each adult having a defined territory. A female, for example, does not tolerate of other females in her territory, which is marked by clawed trees or urine scent. They are good climbers, often taking shelter in hollow trees. While this bear will adopt a rock crevice, it does not usually establish a permanent den, due to its lack of hibernation, an unnecessary practice in the subtropical climate. During the cold season, these bears will move to lower elevations where the temperatures are warm. Social encounters occur primarily during the brief breeding season, but, after mating, the male abandons the female to raise the cub. Though the panda is often assumed to be docile, it has been known to attack humans in the wild when irritated. The giant pandas in captivity have grown quite accustomed to human interaction and can be quite enjoyable. 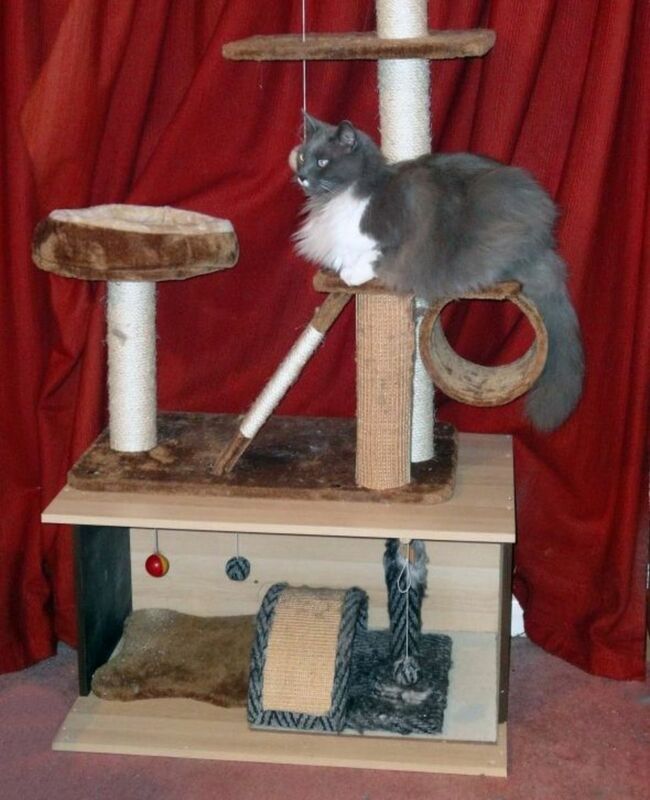 They constantly engage in either eating or playing, especially climbing, as shown in the videos here. While the giant panda eats primarily bamboo, the mammal will eat these foods when available. Occasionally, honey is also offered to pandas in captivity. 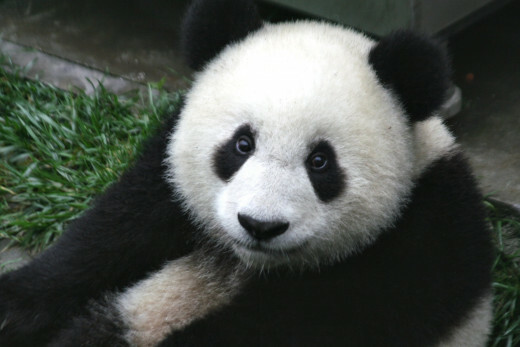 The giant panda's pupils slant vertically, like those of a cat. The paw has five fingers and a bone functioning as a thumb. Panda diplomacy has been practiced as early as the Tang Dynasty (618-907 AD), when Empress Wu Zetian (also 'Zetian Wu-hou,' 624-705 AD) sent a pair to the Japanese emperor, possibly Tenji, as a gesture of goodwill. 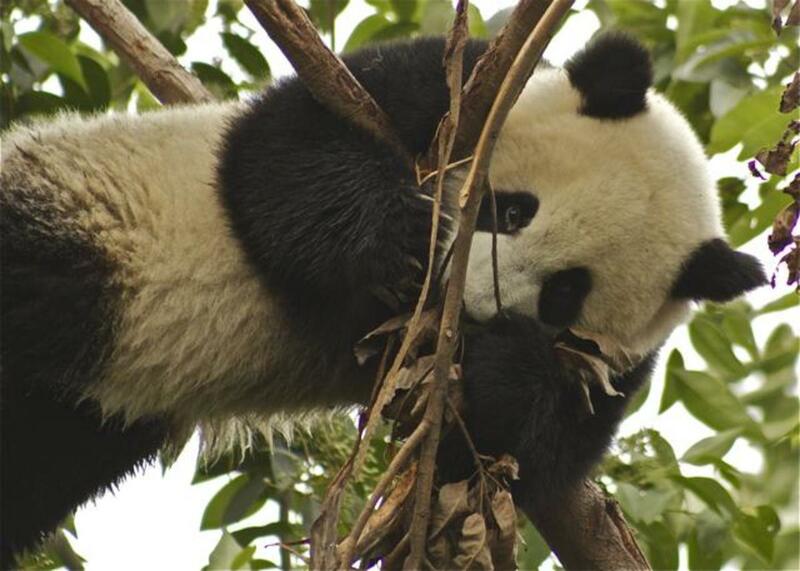 From 1958 to 1982, China loaned 23 giant pandas to nine different countries. Communist Chairman Mao Tse-tung sent giant pandas Hsing Hsing and Ling Ling to Washington, D.C., after the former U.S. President Richard Nixon’s visit to China in 1972. Writing about the gesture in the Irish Times, Frank McNally suggested the animals might have been the most deserving recipients of the Nobel Peace Prize. The year 1984 brought the end of panda diplomacy when the People's Republic of China began to offer giant pandas to other nations only on 10-year loans, which included a fee of up to $1,000,000 (US) per year and with the stipulation that any cubs born during the loan remained the property of China. Since 1998, the U.S. Department of Fish and Wildlife Service allows importation of a panda only if China ensures more than half of its loan fee goes to conservation efforts for the giant panda and its habitat. This practice was the direct result of a World Wide Fund for Nature (WWF) international lawsuit in 1998. In May 2005, China offered a breeding pair to its former island, Taiwan. President Chen rejected the offer due to political issues. 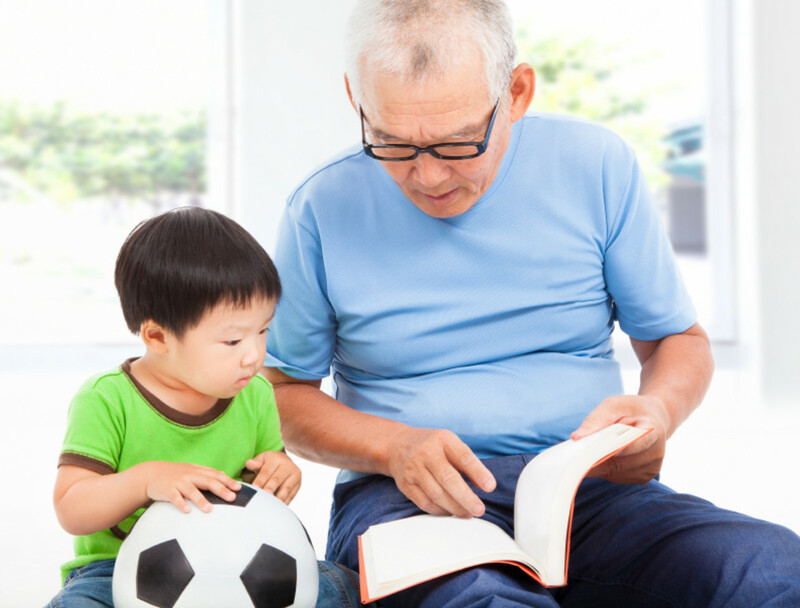 The people of China had even proposed the names Tuan Tuan and Yuan Yuan, meaning "reunion." Conservaton issues were also in question. When Ma Ying-jeou took Taiwan's presidency, however, the pandas were accepted, and arrived in December 2008. One panda caregiver said the animal was too expensive to keep, five times more expensive than the cost of an elephant. Do you think pandas should just be left in the wild? Yes, giant pandas should be left alone, allowing nature to take its course. No, zoos have actually helped panda population increase. Yes, but in protected reserves located in their original, natural habitat. 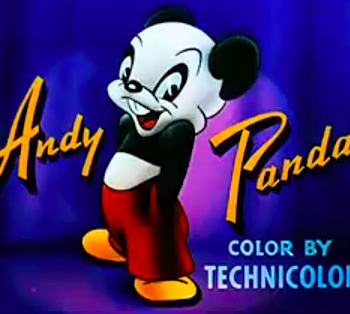 Andy Panda was an animated character created by Walter Lantz, who also made Woody Woodpecker. Andy Panda was the main character in cartoons and served as a supporting character in other cartoons from 1939 to 1949. The bear also appeared in comic books and was featured on marketable paraphernalia during this time period. Panda is a character in the Tekken fighting game series created by Namco. Tekken means "iron fist" in Japanese. 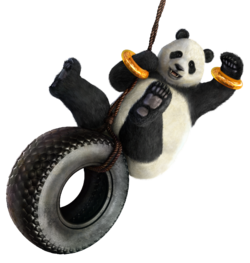 Panda, true to her name, is a giant panda and serves as a loyal pet, best friend and bodyguard to another character in the game. The first Tekken became available in 1994. "Sexual Harassment Panda," also known as Petey, is the sixth episode of Season Three and the 37th overall episode of Comedy Central’s South Park series. It originally aired on July 7, 1999. The panda character serves as a sexual harassment instructor who ends up exaggerating the original intended message, which results in a lot of lawsuits in the story. Poor Petey has to go to the Island for Misfit Mascots. He eventually makes a come back as Petey “Don’t Sue People” Panda. 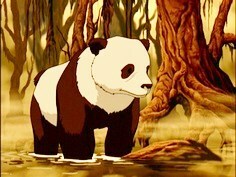 Hei Bai, a character in Avatar: The Last Airbender, a Nickelodeon television series, is a forest spirit that takes the form of a docile panda bear but can transform into a large, four-armed monster with super powers in the Spirit World when provoked. He has been protecting Earth Kingdom forest for thousands of years. Hei Bai in Chinese means black and white. The series aired from 2005 to 2008. Master Po Ping is the main protagonist of the Kung Fu Panda, a series begun in 2008 by DreamWorks Animation. The production consists of six feature films, three specials, a TV series, three video games, and several books. 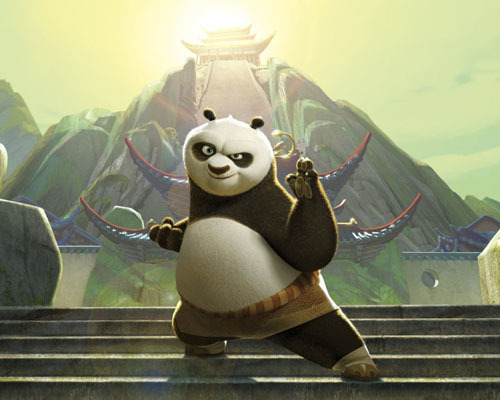 Po Ping is a giant panda Mr. Ping's adopted son, one of Master Shifu's students at the Jade Palace, and the prophesied Dragon Warrior of Legend. 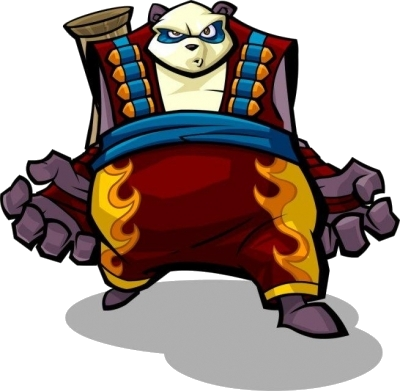 Panda King of Sly Cooper an animated panda bear that's also a demolition expert. Sly Cooper is a series of video games for the Sony PlayStations 2, 3 and Vita. The series was developed by Sucker Punch Productions for the first three games, and then it was passed on to Sanzaru Games. Sly Cooper: Thieves in Time was released on February 5, 2013. 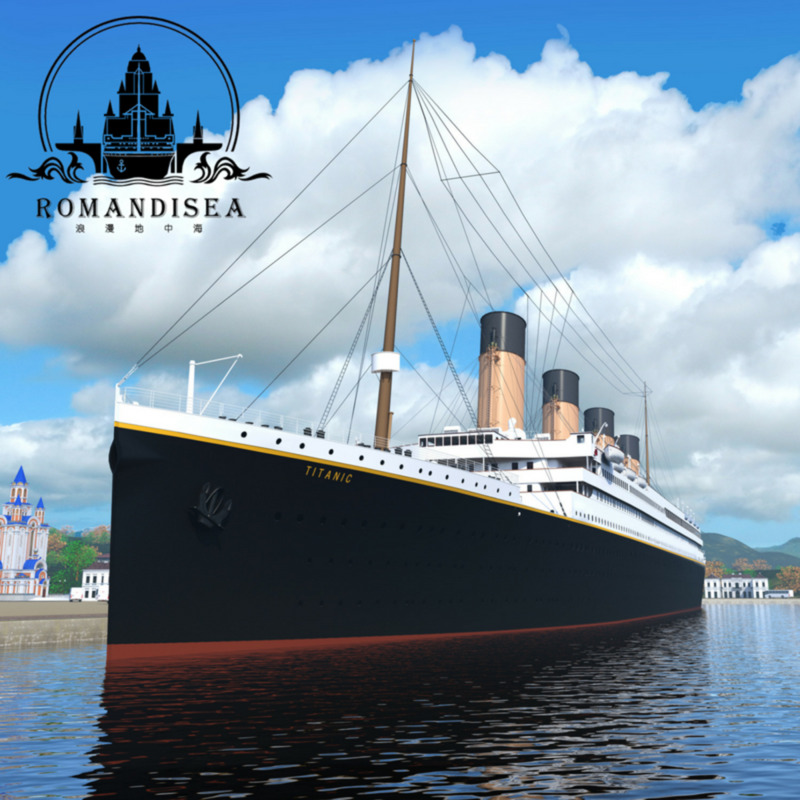 A computer animation based on the series is currently in development for a theatrical release sometime in 2016. Of the fictionalized pandas, which do you like best? I wish to thank Pharmd973 for the comment of "interesting and good!" Everyone loves Pandas! It's amazing that their diet in the wild is almost entirely bamboo! I loved it Marie, it was different. I learned several things about pandas which I never knew. I adored the two videos when I watched the young pandas climbing, falling (they sure fell a lot), and everything else that they did. I voted it up and all of the way across plus shared it! Excellent. They are a big deal here in San Diego.